Brenner, Sydney~ Conference on Aspects of Cell Transplantation (1988: London)~ Royal College of Physicians of London~ Seymour, Carol A. (Carol Anne)~ Speeches, addresses, etc. Seymour, Carol A. 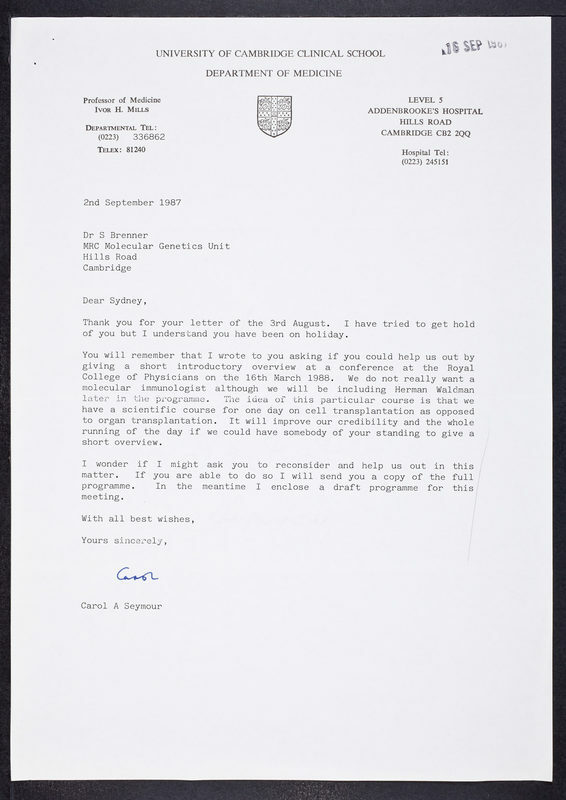 (Carol Anne), “Letter from Carol A. Seymour to Sydney Brenner,” CSHL Archives Repository, Reference SB/1/2/211/12, accessed April 20, 2019, http://libgallery.cshl.edu/items/show/72706.